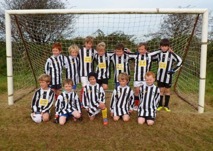 Enys Parc, St Agnes was filled with almost 140 Under 8 football superstars of the future as St Agnes AFC hosted a Under 8's Football Festival on Sunday 28th October 2012. Twelve visiting teams from across the County joined the host club in a big photo and a Giant Respect Handshake where all the players were asked to try to shake hands with every player from every team and make as many new friends as they could before the serious business of the football started. The Football Festival was then played across two mini pitches in a friendly format with some fantastic enthusiasm and skill being demonstrated. All teams had been asked to donate a prize to the Football Festival Raffle, which raised a whopping £81 to be donated to Children's Hospice SW.
As the final whistle blew all participants were presented with certificates for taking part and playing so well. St Agnes AFC Chairman Mandy Kimmins summed up the event by saying "Wow what a wonderful turn out and what fantastic football all of the Under 8's have played. Their participation in the Giant Respect Handshake was great fun to watch and I would like to say a huge thank you to all the visiting teams and their managers for supporting our Festival. I am particularly proud of our club coaches who helped to run today's event raising important funds for our youth teams as well as £81 for Children's Hospice South West who are helping make the most of short and precious lives." 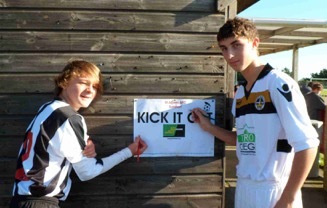 Saturday 20th October saw St Agnes AFC support the National 'Kick it Out' Campaign during their weeks of action across their 3 home venues. 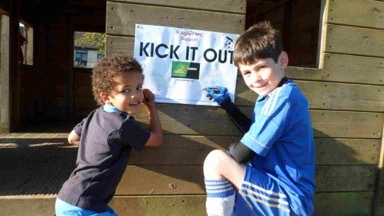 The Kick it Out Campaign's 'One Game, One Community' weeks of action from 18th-29th October aim to Kick Racism out of football. The Club created its own simple interactive poster which was displayed at Chiverton Park, Enys Park and St Agnes School where youth and adult players alike were invited to sign to show their support. 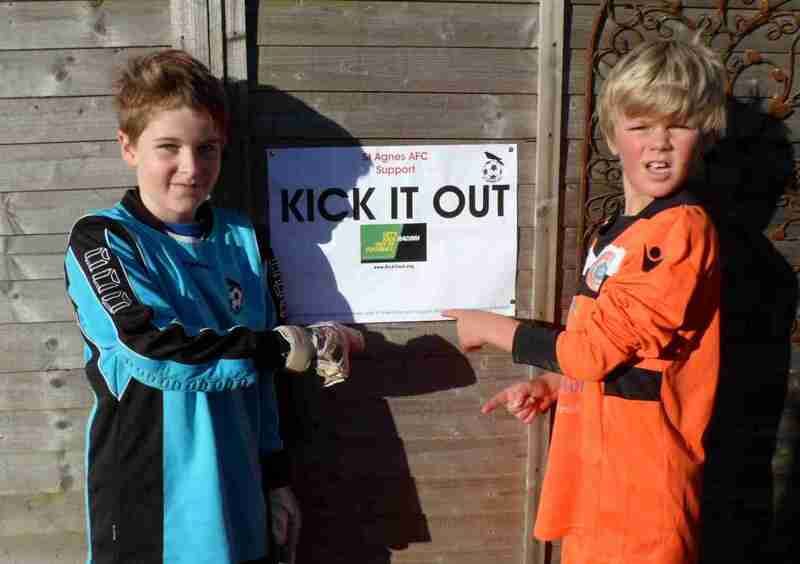 Well over 250 signatures from youngsters and their parents, supporters and adult players were collected in an initiative, which was applauded and supported by visiting clubs as well. Club Chairman Mandy Kimmins explained "Many years ago a young player from within our club was told by an opposition player during a youth fixture to 'return to the jungle they came from'. Whilst the incident was properly dealt with afterwards the player never returned to youth football so we have experienced first hand the effects racism can have. This was a really simple initiative within our club, which was very well received, especially by the parents of our youth players. I would also like to say a big thank you to the visiting youth squads from Truro, Penzance and Falmouth who also got involved and supported." 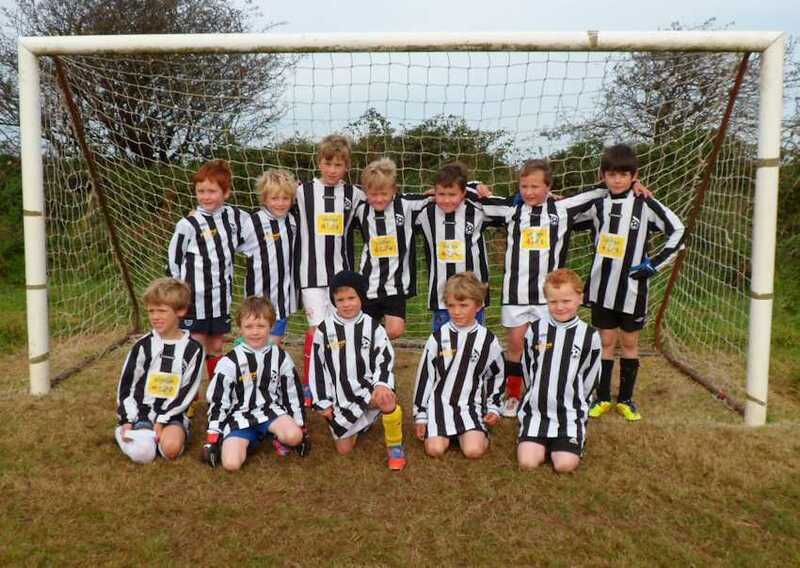 A large crowd of excited parents and grandparents gathered at Chiverton Park, St Agnes on Sunday to see St Agnes Under 8's face Perranporth Under 8's in their first friendly of the season. They were not disappointed by the standard, effort, determination and calibre of the football they saw as every player from both sides gave it their all! 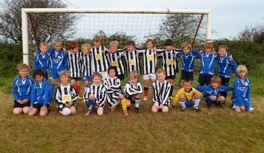 The teams are photographed before the match with St Agnes in black and white and Perranporth in blue. 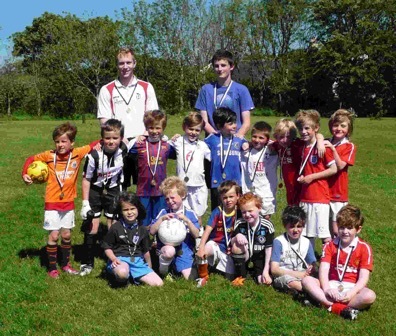 40 'Superstar' footballers of the future took part this Saturday at the St Agnes Mini Soccer School, with ages ranging from rising 5-9 years they had great fun taking part in in fitness, football and fun. 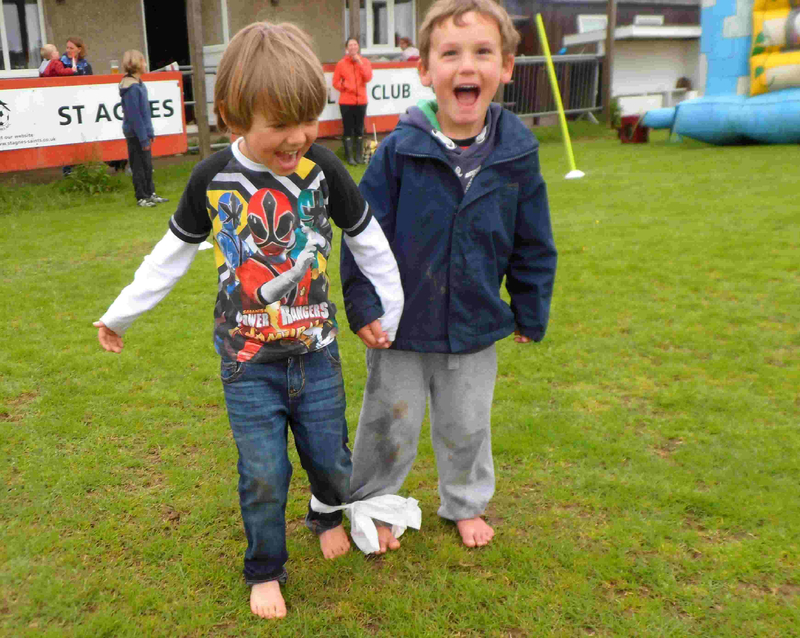 The St Agnes AFC mini-soccer school takes place every Saturday morning (except when weather prevents) from 9.45am - 11am at St Agnes School and boys and girls of every ability are welcome to 'turn up and play' (£2). The mini-soccer school is managed by head coach Tom Bartlett and a team of qualified volunteer coaches with fantastic supportive parents. St Agnes AFC are running 6 youth sides this season at Under 15's, 13's, 10, 11's, 9's and 8's (as well as 6 adult sides) and anyone interested in joining the club as a player, manager, coach or sponsor is welcome to contact Club Chairman Mandy Kimmins on 07974 370666. Chairman Mandy Kimmins said "I was really thrilled to see all the youngsters with big smiles on their faces at our mini soccer school this morning. We are very lucky as a Club to be able to access the fantastic facilities at St Agnes School for our youngsters and we are very grateful for the wonderful working relationship our Club has with the school." 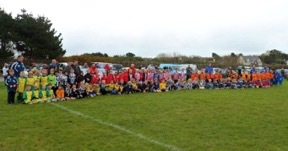 St Agnes AFC are hoping to host a mini Under 8's Festival on Sunday 28th October (half term) and any Clubs with Under 8's teams who would like to take part are encouraged to contact Mandy Kimmins at St Agnes AFC by email bolsterpaper@gmail.com or call 07974 370666. 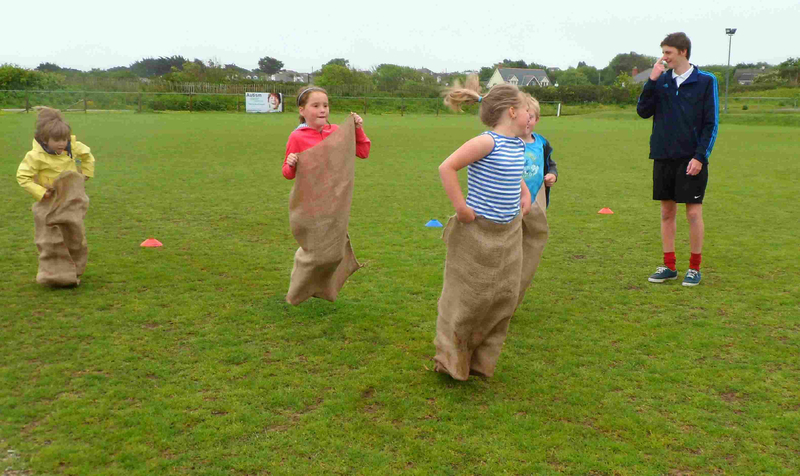 Midday on Saturday the 8th of September will see a Guinness World Record attempt take place at Enys Parc St Agnes. As one of '50 things to do before I am 50' Mandy Kimmins from St Agnes thought it might be novel to take part in a Guinness World Record and started researching through some of the existing records already held to see what could realistically be achieved. Intending to make the event a charity occasion and something that everyone of any age or capability could take part in Mandy stumbled across the idea of 'Hand Jiving'! Following detailed communications over the past 6 weeks with officials at the Guinness World Record Office they have confirmed that an attempt at gathering the most people in one place hand jiving at the same time would qualify as a valid record attempt. Mandy explained that "our aim is to try to make this a charity family event. We have to get a minimum of 250 people to Hand Jive together for 5 minutes in the same place to achieve our Guinness World Record! It sounds quite simple but there is a major piece of work that needs to be completed before, around and after the event to have it accepted as a entry into the Guinness World Records." A group of organisers has been working hard on planning the event, which will ask participants to donate £1 as an entry fee to be donated to a charity supporting Kernow Young Diabetics (SKYD Registered Charity No. 215199). 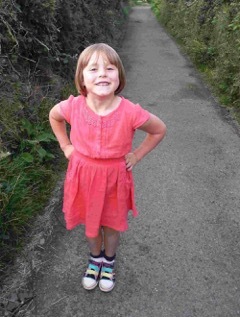 The star of the event will be 5 year old Martha Cross from St Agnes who was diagnosed with Type 1 Diabetes 2 days before her 4th birthday and whose mum Marianne is helping organise the Guinness World Record Attempt. 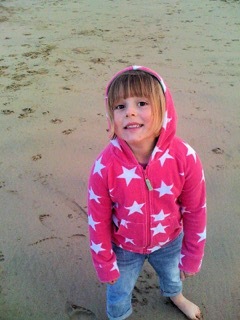 Martha's Dad, Mike, (who is chairman on SKYD) said "Martha spent her 4th birthday in hospital. She has 5 injections of insulin a day and has a minimum of 7 finger pricks a day to check her blood sugar levels. This can also be throughout the night, and was every night when she was first diagnosed. SKYD got in contact with us in the first week of diagnosis and we were invited to the Christmas party at the hospital where Martha could meet other children in the same position, and we could meet parents dealing with the same situation. All members of SKYD have been a constant support as most are in the same situation and have faced the same issues. Paediatric nurses and doctors have provided expertise and support since she has been diagnosed with the condition and have been working closely with us to ensure that this life-long condition does not stop her achieving her goals and aspirations in the future and allows her to live a normal life." Martha is hoping to enlist Team Leaders called 'Martharettes' who will be prepared to try to recruit 10 team members to take part on the day to help us achieve our Guinness World Record whilst raising important funds for SKYD. Mandy explained "we don't just want to attempt our record, we want to achieve it and have it recognised. We also want to raise important funds for SKYD. To prove we have completed our record we could arrange for an official adjudicator to attend, but that has a cost of £4000 so we need to provide video and photographic evidence as well as statements from independent witnesses. So there is a lot to do." Anyone interested in taking part on the day as a hand jiver or Team Leading 'Martharette' or helping with marshalling, witnessing, videoing or photographing is welcome to contact Mandy Kimmins on 07974 370666 or by email at bolsterpaper@gmail.com. Entry forms are here. The event is planned to proceed whatever the weather and everyone is welcome to take part on the day: entry forms are to be brought along with participants on the day as part of the recording process and people can also just turn up on the day to enter as well. There will be music and refreshments and entries will be open from 11am on the day. Participants are encouraged to arrive early to take part in Hand Jive rehearsal! Everyone taking part will receive a thank you certificate designed by Martha. Following the event the evidence collected on the day needs to be submitted to the Guinness World Record Offices and it can be up to 6 weeks before they confirm if the record has been successful. 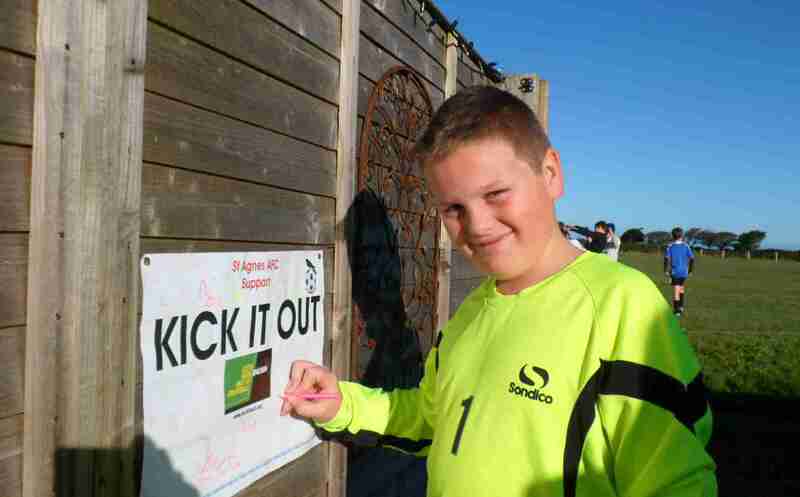 (The Registered Charity number for 'Supporting Kernow's Young Diabetics' is 215199. *To provide a framework for a self support group with points of contact for parents, guardians and family members of existing and newly diagnosed minors and young adults. Enys Parc St Agnes hosted a veterans charity fixture organised by St Agnes AFC Chairman Mandy Kimmins and Kate Messenger representing the Lady Gladys School in Costa Rica. A fantastically well supported event which saw members of the St Agnes AFC Veterans teams take on a 'select squad' managed and run by St Agnes AFC 1st Team Manager Martyn Kimmins and Johnny Messenger. The match was played in great spirit with end to end action and goals galore! The fixture replaced a 'weather postponed' Veterans Tournament from earlier in the summer and aimed at raising funds to share between St Agnes AFC and the Lady Gladys School in Costa Rica. The School was was set up by Kate Messenger's father John Hawker in memory of his mother Gladys Mitchell (from St Agnes) who had always believed that the greatest gift that you can give to any child and especially a poor child is a good education. The Lady Gladys School is situated in one of the poorest areas of San Jose, the capital of Costa Rica in Central America. The area is one of the communities with most problems associated with poverty, such things as prostitution, drug addiction, violence, abuse within families and the afflictions that go with lack of education, information and culture. The Lady Gladys Education centre, apart from giving education to the children, is going to be an example to the whole community in such that it will offer at an absolute minimum cost (and with your help no cost at all) a means of education and culture to the children as well as the rest of the community. The total raised on the day from players, match subs, sausage sizzle, raffle and auction reached £900 to be split equally between the two causes. Responding from Costa Rica a delighted John Hawker said "I really can't believe how kind people are, the money will go so far it will enable children to study at the school and cover them for books and pencils. It is fundraising like this that really makes a difference. Thank you St Agnes Football, once more you have been amazing!" Mandy Kimmins from St Agnes AFC commented "I would just like to say a big thank you to everyone who took part, donated and supported this event in every way. I was lucky to have known Gladys myself and members of her family have been connected to St Agnes AFC across the years with her great grandchildren presently involved. It is really special for our Club to be involved and supporting youngsters from such a deprived area." More details about the Lady Gladys School may be found at www.educatingchildren.org/en/LadyGladysEducationCentre. 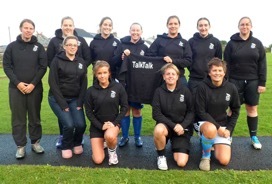 St Agnes AFC Ladies were celebrating this week having received new Hoodies kindly sponsored by TalkTalk. TalkTalk have launched a nationwide campaign to support local towns and villages across the country (420 in total), by investing in initiatives that deliver a difference to the community by offering funding/sponsorship opportunities and St Agnes has been included. TalkTalk are donating sponsorship for local community centres, community projects, sports centres, sports teams, charities, etc and in addition to this TalkTalk is investing £50,000 in technology to bring improved broadband offers and facilities to the exchange at St Agnes. 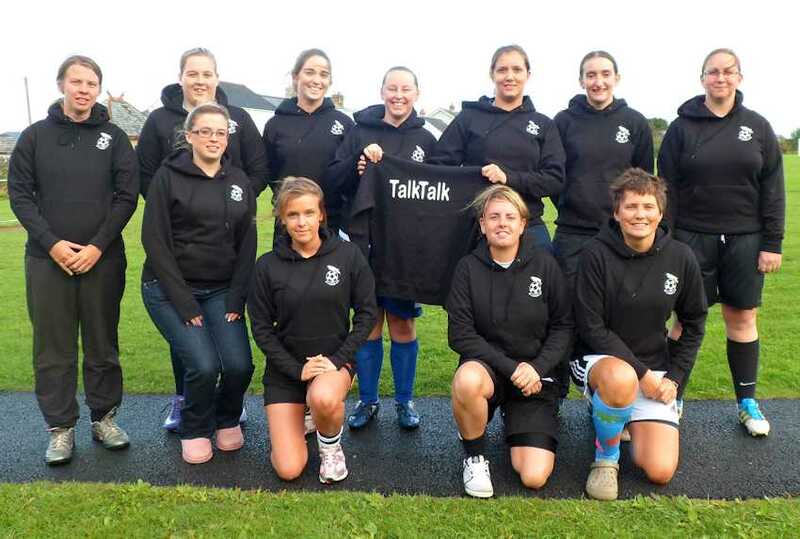 Some of the Ladies are photographed in their new Hoodies and player Tracey Burley said,"Its fantastic that TalkTalk are investing sponsorship in organizations like our Ladies team. Our new Hoodies will be worn with pride as part of our training and pre-match kit and will help us to feel and look like part of a team." 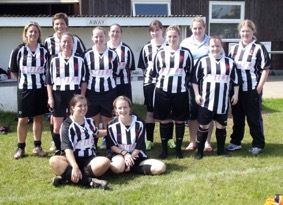 St Agnes AFC Chairman Mandy Kimmins said,"I would like to say thank you to TalkTalk for their generous sponsorship of the Ladies Team - its not easy in these difficult financial times for Clubs to attract sponsorship and this has really helped set the ladies up for their forthcoming season." St Agnes Ladies are back in training and any players of any ability aged 16 and over is welcome to come along and join in with football, fitness and fun - more details can be had from Mandy Kimmins on 07974 370666. This was the culmination of the 3rd Annual Brian Biggin Memorial Trophy with a Finals Day at Godolphin Football Club. Set up in memory of Brian Biggin, who had been a stalwart member of Newquay Football Club for 50 years and served as an area representative for the Cornwall FA, the competition aims to use pre-season football to raise money for different charities nominated by Brian's wife Sandra each year. 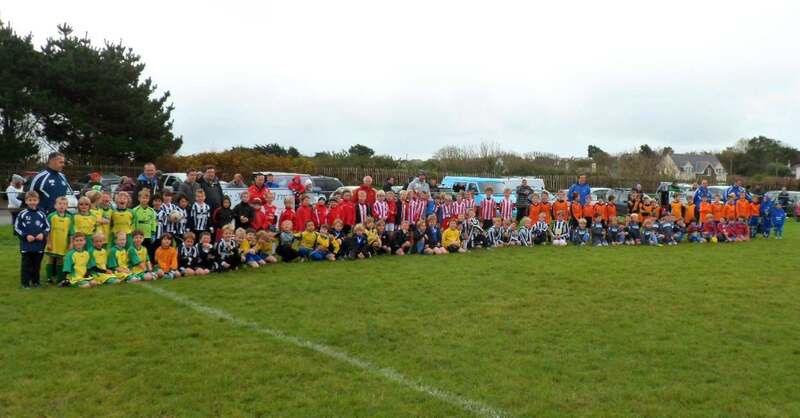 Four teams from Godolphin, Newquay, St Agnes and Wadebridge football clubs had competed for the Trophy over the past 2 weeks each playing 3 fixtures with Newquay Football Club lifting the Trophy at Godolphin, winning on goal difference. Over the last two years monies raised were donated to Cornish Hospice Care (over £1000) and Help For Heroes (£1100) and this year's total from gates and raffle at all fixture has reached over £1800 including part match funding from Barclays Bank on their £1 for £1 scheme. Gemma Kidd from the Cornwall Air Ambulance is photographed being presented with monies by Sandra Biggin and commented, "Thank you all so much for this amazing donation. The Cornwall Air Ambulance costs over £1.7 million a year to keep it flying. We rely on support from communities and individuals to help us keep saving lives." Sandra Biggin commented "Thanks to everyone who has taken part in this Brian Biggin Memorial Trophy again this year and supported in every way to raise this fantastic sum of money in Brian's memory." 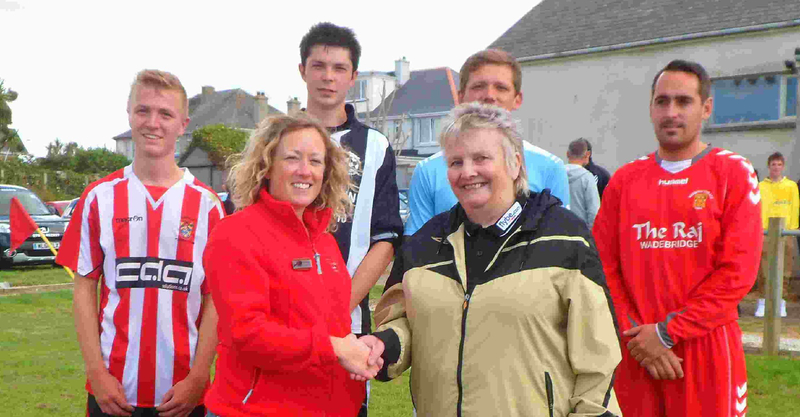 Pictured front right is Sandra Biggin presenting the money to Gemma Kidd of Cornwall Air Ambulance. Standing behind them are representatives of the four sides taking part L to R: Jake Street (Newquay), Matt Eddy (St Agnes), Aaron Dilley (Godolphin Atlantic) and Nick Dowling (Wadebridge Town). St Agnes AFC Ladies hosted their annual 7-a-side tournament on Sunday, which not only attracted some unusually fine weather but also a fantastic display of ladies football. This years tournament took place over two pitches at Enys Parc with a League format followed by play-offs. 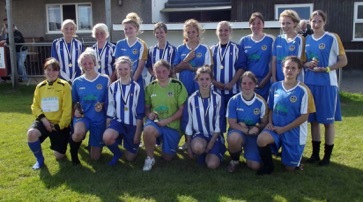 The two semi-finals featured sides from Charlestown Ladies, Truro City and Hayle, with Charlestown facing Truro City in the Final. 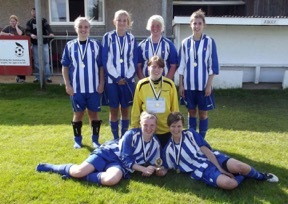 Truro ran out tournament winners with a 2-0 victory over Charlestown who put up a brave resistance to come runners-up. Andy Tate from the West Cornwall Ladies said "You know the ladies football season has started when the St Agnes tournament arrives." 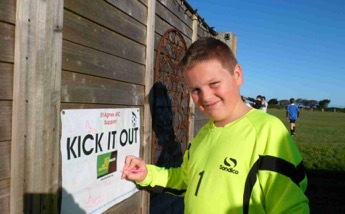 Steve Oliver from Truro City commented, "Thanks to St Agnes for hosting another brilliant tournament - the best ever!" 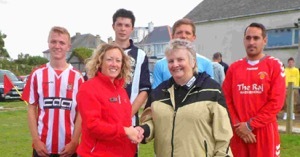 Mandy Kimmins from St Agnes Ladies AFC replied "Thanks to all the ladies who took part in this years event. Owing to the unpredictable weather this year we slimmed the event down to be sure of getting on the pitches and turned a lot of teams away, but as it was we could have run the extra matches as the weather was glorious! I would like to say a special thank you to the officials who gave their time voluntarily. 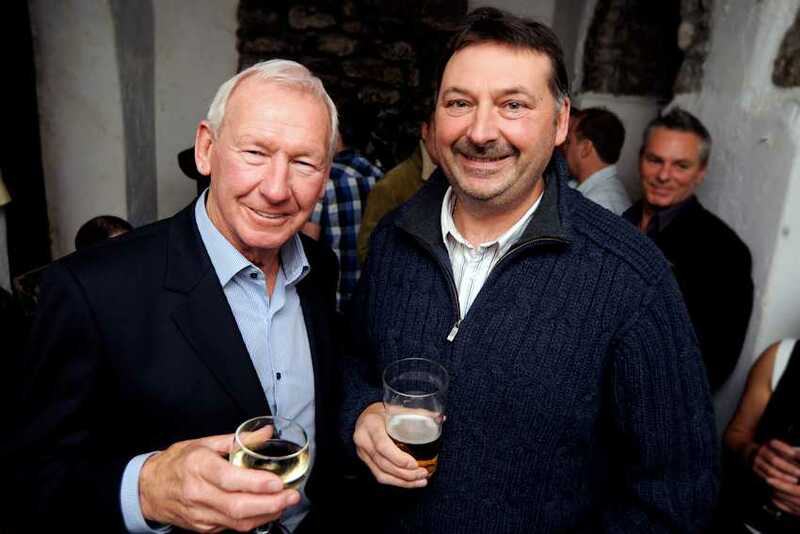 Half of the proceeds from the Tournament will be donated to Cancer Research UK (St Agnes Branch)." 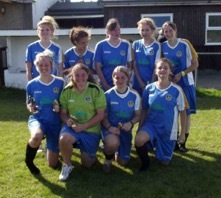 St Agnes AFC Ladies who hosted the tournament are back in training for the 2012/13 Season and any ladies (16 years and over) of any ability are welcome to join in for football, fitness and fun please contact Mandy Kimmins on 07974 370666 for more details and training arrangements. 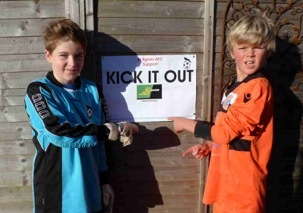 St Agnes AFC Under 10's and Under 12's celebrated the end of the 2011/12 Season with a training session involving their parents and it was easy to see the parents ran out of steam long before the players did! Following their exercise parents and players enjoyed a buffet before the end of season presentations took place. Coaches Rhyd Purnell and James Springall thanked all the players and parents for an enjoyable season with Rhyd saying, "I took on managing the Under 12's side half way through the season and, as it was my first proper venture into youth football, I wasn't sure what to expect. I have surprised myself at how much I have enjoyed it and that's because of the support I have received from the parents and the great enthusiasm from the players." 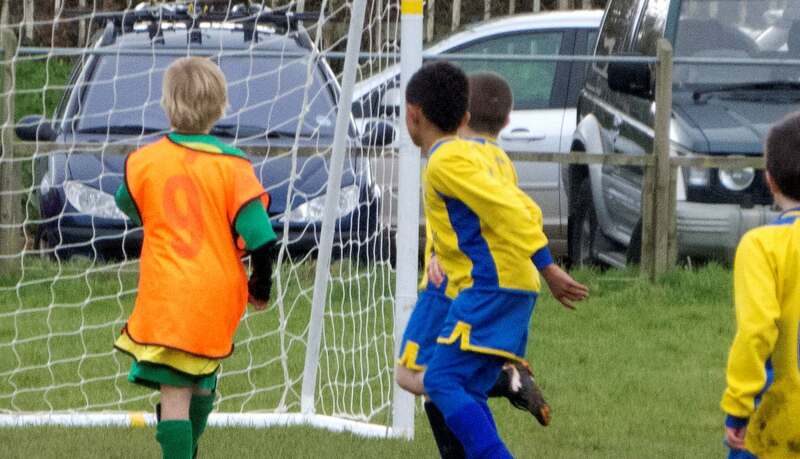 James commented, "What a fantastic season the Under 10's have had, coming runners-up in their league in their first season as a team playing together!" All of the players received an end of season medal with special awards going to Nathaneal Potts, Morgan Ford and Blue Morgan from the Under 12's and George Leigh, Dillon Arch and Oliver Keveren from the Under 10's. St Agnes Chairman Mandy Kimmins thanked the players, parents and coaches for their contributions during the season. Both sides will resume training in July after the pre-season break and any players interested in joining the squads as they step up to Under 13's and Under 11's or anyone interested in helping with coaching is welcome. Photo - St Agnes AFC Under 10's & 12's with medals and coaches at their end of season awards. 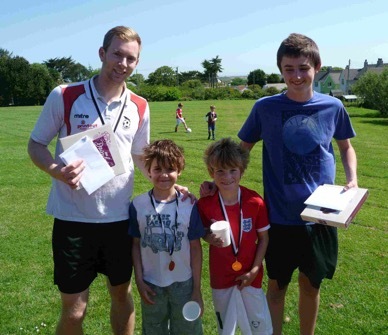 St Agnes AFC Mini-Soccer School completed their end of Season with presentations all around with even the coaches Tom Bartlett and Ben Pitts receiving medals and chocolates! Hosted at St Agnes School on Saturday mornings throughout the football season head coach Tom Bartlett commented, "We have had a brilliant group of players this year attending and I hope to run an Under 8's and Under 9's side from the mini-soccer school next season. We are also planning a 3-day Summer Soccer School with details being advertised on the club website shortly." Club Chairman Mandy Kimmins said, "Once again the Club would like to thank St Agnes School for the use of their fantastic facilities, we are really lucky to have such a great relationship with our local school. 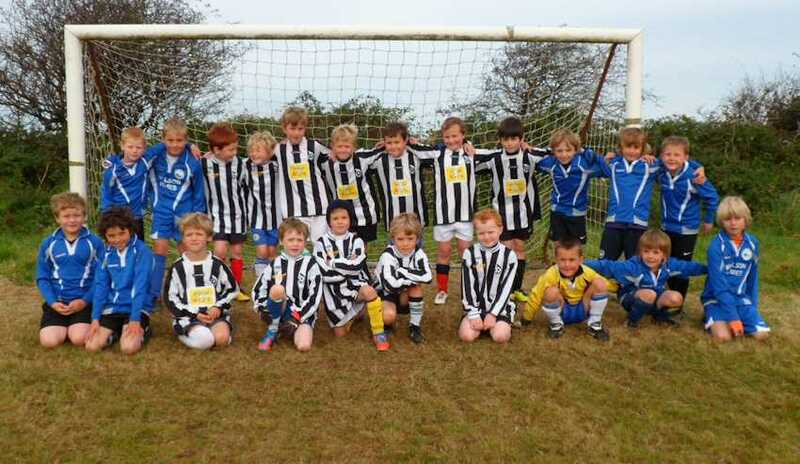 This years mini's have been great with a super group of supportive parents, which helps any club to run successfully. I would also like to thank our coaches who give up their time voluntarily and made such a great effort and commitment." Coaches Tom Bartlett and Ben Pitts are presented with chocolates and medals. Some of the members of the St Agnes AFC mini-soccer School with their coaches and end of season medals. 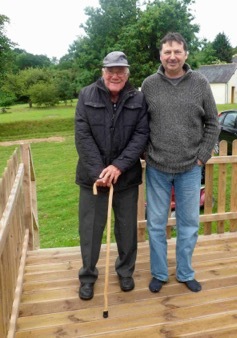 Three years ago Jim Stenning, a former long-standing Secretary of St Agnes AFC, moved to France to live with his family who had relocated to live in Brittany. Awarded for his long service to football in Cornwall, Jim has remained a long-distance follower of the Club periodically contacting us to offer his advice or opinion on how things seem to be going without him and how the current officials/players and managers could do better! 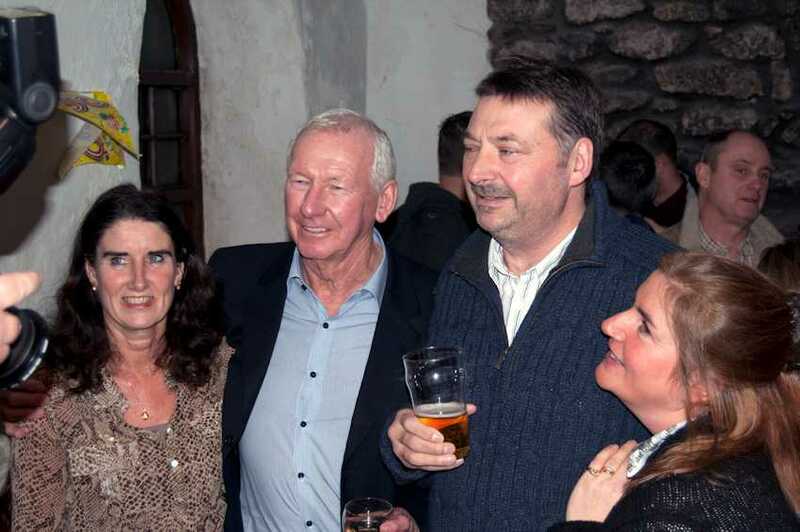 Eager to seek his advice and missing his 'no messing' attitude and regular time keeping at fixtures St Agnes 1st Team Manager Martyn Kimmins and Chairman Mandy Kimmins travelled to France to pay him a surprise visit. Once he had recovered from the shock of his unexpected visitors Jim readily launched into 3 years worth of advice crammed into a 3 day visit of his version of how things within the club should progress! He also asked to be remembered to all the players and clubs from across Cornwall that he had been involved with during his time as a Secretary at St Agnes AFC. Martyn and Mandy were delighted to find Jim (now 89 years young) in great spirits and good health. 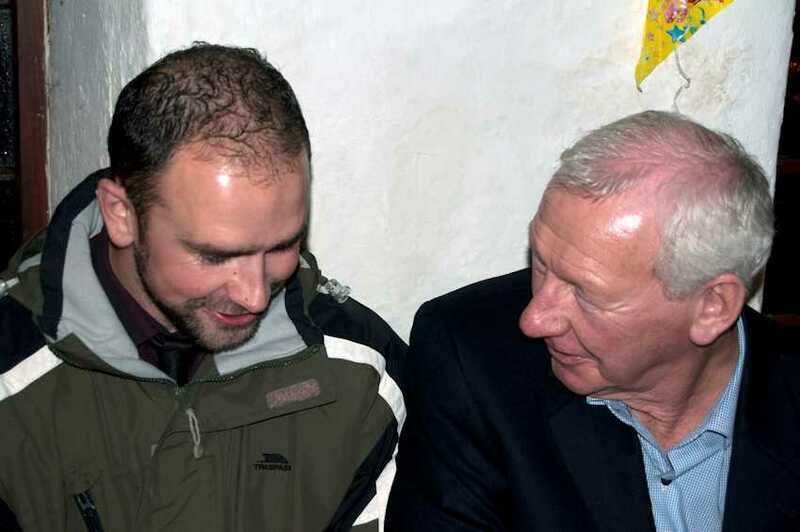 As for the advice he had to offer: well that must remain a Club secret as we prepare for the 2012/13 Season! 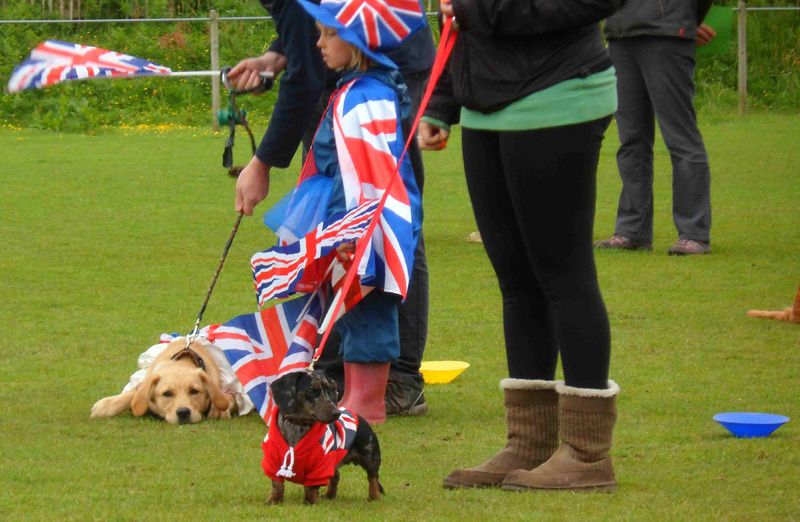 St Agnes AFC hosted a Jubilee Sports Day followed by a Royal Dog Show at Enys Parc to celebrate the Queen's Jubilee. 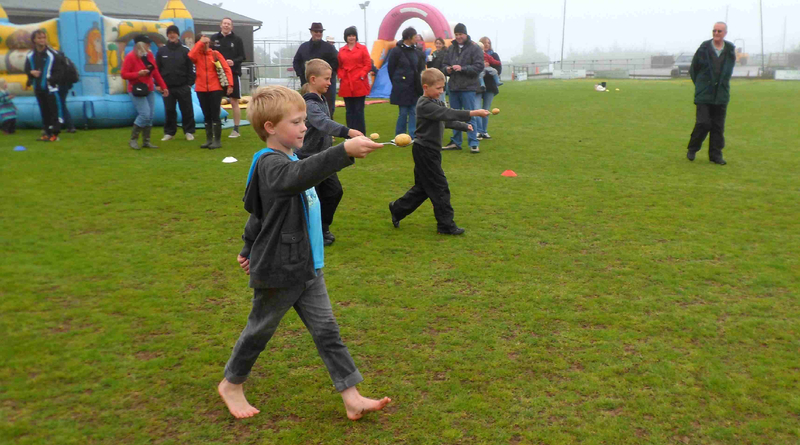 Despite horrendous weather with fog and drizzle the free event went ahead with more than 50 children attending and taking part in races including sack, 3 legged, piggy back, potato and spoon, and more. A tug of war was eagerly contested while Welly Throwing proved quite lethal! 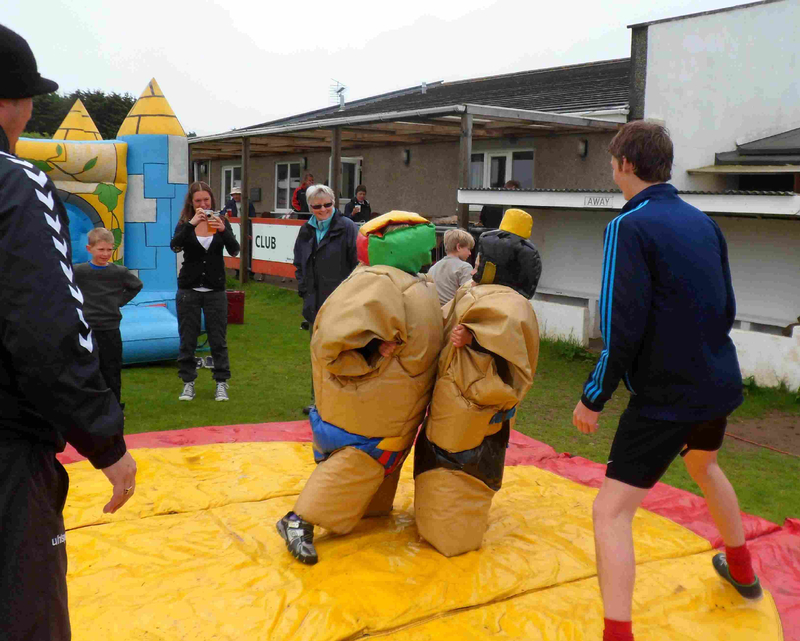 Coaches from within St Agnes AFC helped to run the event which also featured a free BBQ, Sumo Wresting and 2 Bouncy Castles. 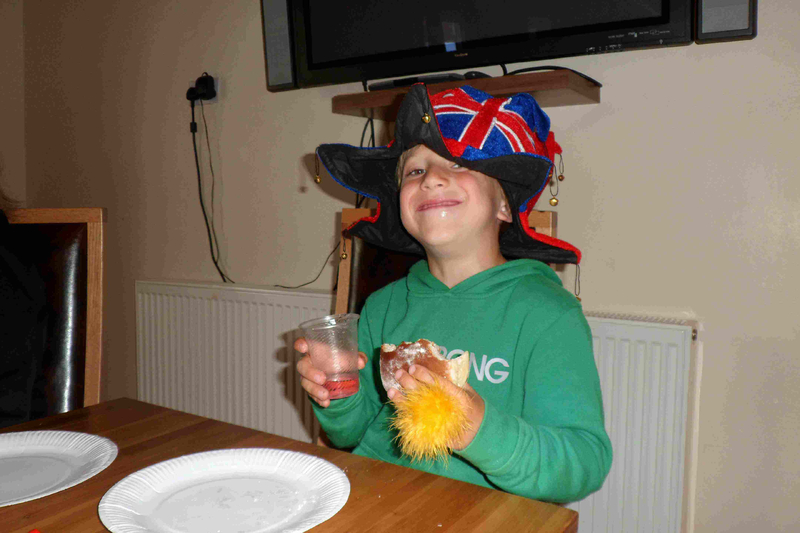 The Sports Day concluded with an indoor 'Street Party' where all the children received free tea treat buns and drinks. Thanks go to St Agnes Parish Council, St Agnes Bakery, and Doble's Quality Foods for their generous sponsorship and support of this event. 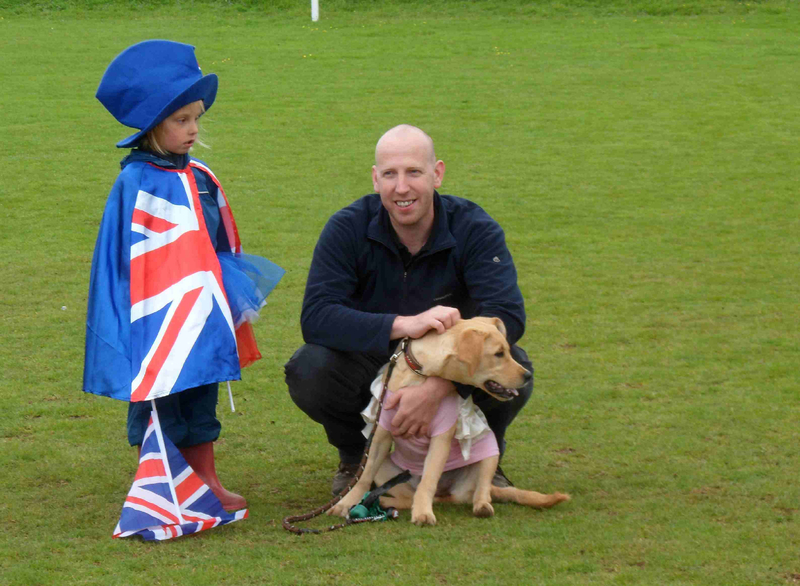 Following the Sports Day more than 25 Dogs entered a Fun Royal Dog Show featuring 10 classes including most handsome King Dog, prettiest Queen Dog, A coat fit for a Monarch, most Regal Wave, best Royal Fancy Dress, best Young Royal Handler (Prince or Princess) and Best in Show. The first 3 in each class received a certificate, but no dog went home without a reward as there were dog treats all round. 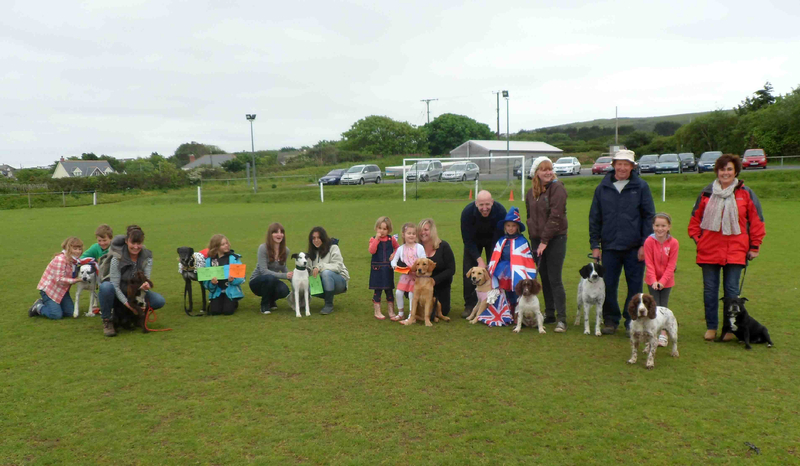 Photographs attached of some of the children taking part in the events and the class winners and overall best in show winners of the Dog Show. St Agnes AFC hosted their Annual End of Season Presentations Night, Dinner and Dance at the MMI in St Agnes with an excellent buffet provided by Trish at Sarnies. Introducing the Awards Chairman Mandy Kimmins thanked all the players, coaches and supporters for their contributions throughout the Season, which had seen the Club host 13 teams of males and females with ages ranging from 5-65 years. The Chairman's Cup was presented to Mr & Mrs Mike Venton for their outstanding contribution to the club during the last season including help with fundraising, kit washing, line running, coaching and much more besides. Flowers were presented to Lynette Murrish, Mary Baxter, Jane Pitts, Di Wills and Helen Venton for their support in many different ways. The Club Loyalty Award was presented to 18 year old James Springall (the youngest recipient ever to have received it within the club) for his enormous dedication to the club during the last season as a player, coach, fundraiser and for his overall commitment. Tom Bartlett received the 1st team Player's Player Trophy whilst the accolade for receiving the most awards during one presentation night went to Jake Shaw who picked up the 1st team Managers Player, Club Supporters Player and Under 18's Player's Player Awards! Bradley Leivers was awarded the 1st Team most improved players award and Dwayne Britton picked up the top goal scorer award with 28 goals leaving him also 3rd top goal scorer within the Combination League. Martyn Kimmins summed up the season by saying, "The 1st team had a good season and were in with a chance of the championship right up to April, but we had a loss of form in the final games of the season which cost us. We still finished a respectable 5th place in the in the Combination League. I am looking forward to building and progressing from this season into the next one with hopefully all 3 of our mens sides doing well." The attached photo shows award winners from the night. 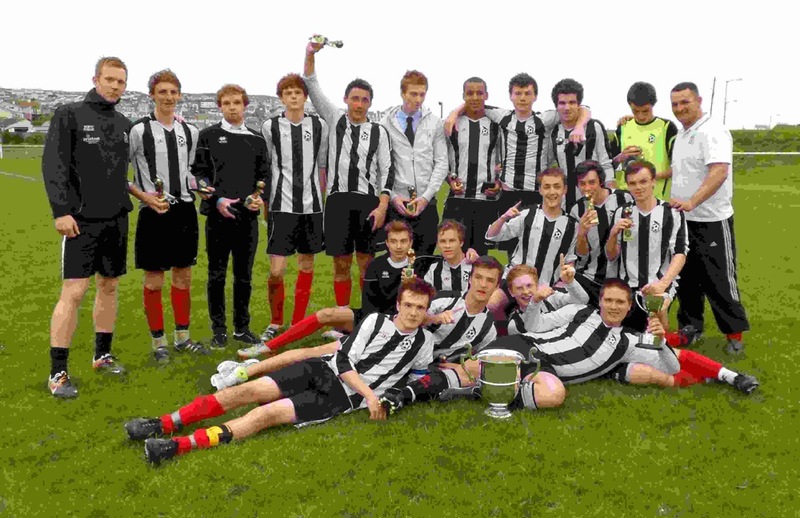 St Agnes AFC Under 18's (A) finished a successful season last night when they played Newquay Under 18's in a thrilling Cornwall FA Bartlett Trophy Final at Perranporth. The match was an end to end affair with both teams battling well, St Agnes dominating the first half playing some neat quality football and creating chances for themselves. Jack James’ early shot was thwarted by the cross bar and the winning goal came 15 minutes into the first half when Bradley Leivers gathered the ball up in his own half, moved forward into the opposition's half and unleashed a 35 yard screamer into the top corner of the goal. During the second half Newquay came back into the fixture and took the game to St Agnes without really creating many chances for themselves, but the St Agnes back four stood firm. Newquay kept pushing St Agnes right up to the final whistle, St Agnes always looking dangerous on the break with Paddy Critch a constant threat, and during the last 5 minutes the Newquay keeper made a great save from one of Paddy’s shot. At the end of the match Captain Luke Osborne collected the Bartlett Trophy from CFA representative Phil Bunt and the team were also crowned League Champions of the Kernow Under 18's League following an unbeaten League Season. Members of St Agnes AFC took time out during Saturday's football fixtures to pay tribute and say thank you to 85 year old Russell Fowler for all his years of contribution to the club. Russell was an outstanding player for the club during the 1950's and progressed through from the ranks of player to becoming the first ever manager of the St Agnes side who, like all Clubs of that era, were formerly managed by the Club's Committee members. Over the years Russell has been a Committee Member, Linesman, First Aider, Referee, Sponge Boy, etc, etc and is still a regular supporter at most home games. St Agnes first team Manager Martyn Kimmins, who himself was a player at the club in the 1970's when Russell was the linesman, has often found himself on the end of Russell's opinion as to how things should be run. Russell's tactics were valued so much on one occasion this season he was actually invited in to the changing room for the half time talk and received a standing ovation from the current team. The Club treated Russell to a half-time cream tea to which members of his family had been invited as surprise guests including his wife June - herself a former committee member/tea maker and so much more. Russell was presented with an engraved 'Superman' Trophy and June with flowers for all her loyal support over the years. 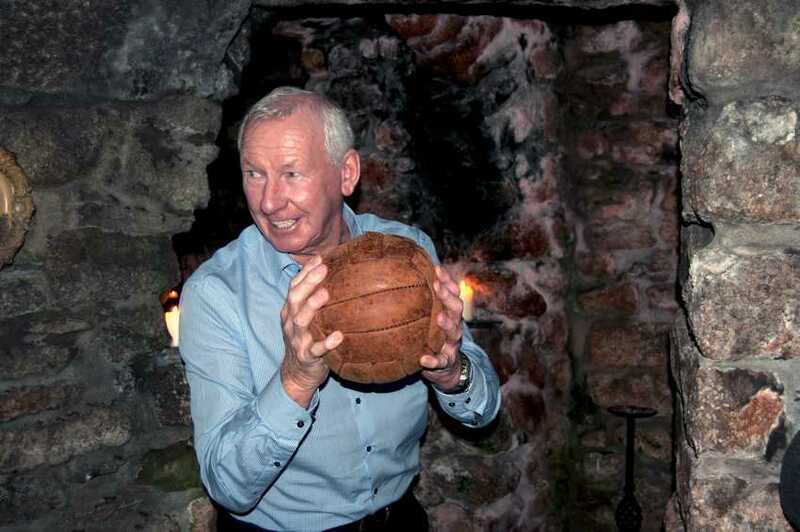 Once Russell had recovered from the shock of the surprise event he launched into full flow and shared with the crowd of family and supporters some entertaining stories of 'how football was played in his day’. 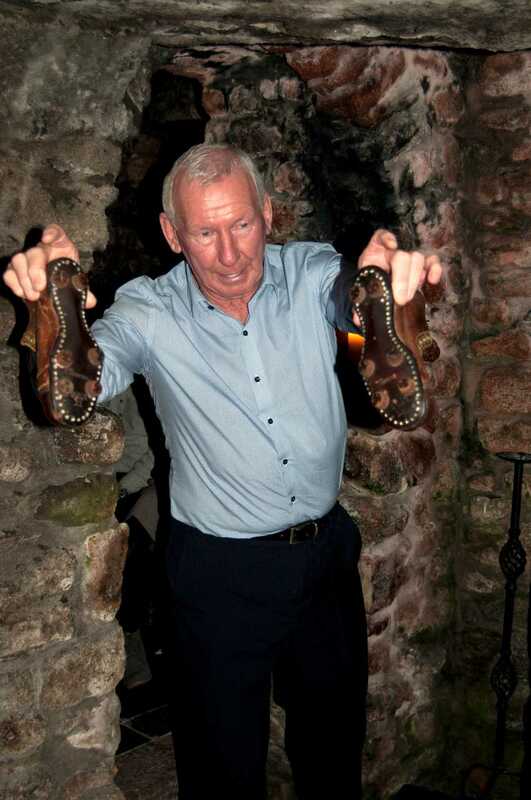 His stories included how the pitch was shared with a herd of cows and needed de-cowpatting before each fixture with players changing in the hedge beside the pitch and covering their clothes with a sack to try and keep them dry! Russell's final treat for the afternoon was a drink on the St Agnes AFC 1st Team Captain Johnny Rowe who is photographed with Russell and June at Enys Parc. 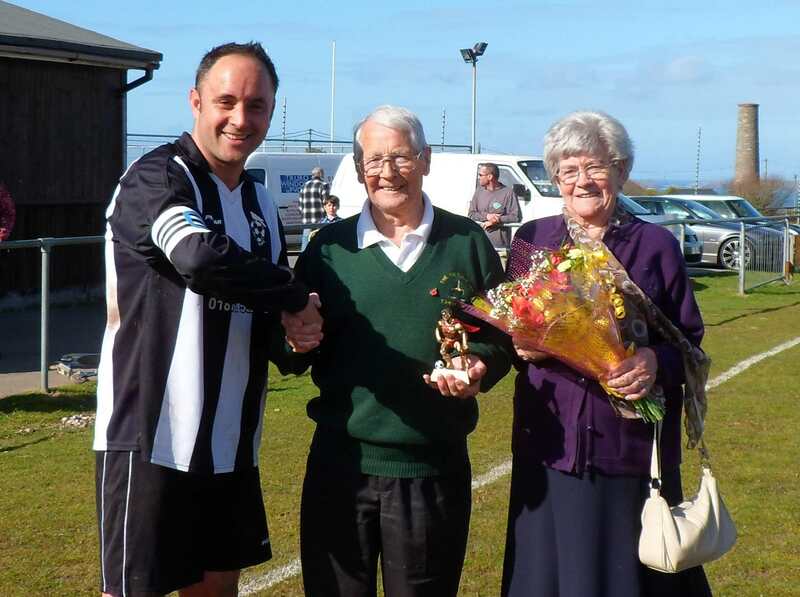 Summing the afternoon up St Agnes AFC Chairman Mandy Kimmins said, "Today was about saying thank you to Russell for being such a stalwart of the club over all these years and I think we have shown both he and June how much their contribution has been appreciated." Little did St Agnes AFC first team manager Martyn Kimmins know what was in store for him on Friday 13th January as he set off out for an ordinary night out for dinner with his wife Mandy and family! On arriving at the historic and quirky Carn Brea Castle Martyn was stunned to find more than 40 of his closest friends and local footballing players waiting to surprise him and (before he had chance to find his feet) he was further shocked to see his football hero and well known football legend ex-Arsenal and Scotland keeper Bob Wilson walking into the venue to wish him a happy 50th birthday! Bob had been invited to attend the evening by Mandy as a 50th birthday present for Martyn and he certainly made the evening very memorable as he joined the guests in dining on a Jordanian Mezze, climbed to the roof to share the spectacular view, and then spent time mixing and mingling with Martyn and his friends before presenting an animated and engaging talk on 50 years of football history. Whilst talking about football over the last 50 years he produced a series of props from his '50 footballing years' bag including his own first leather football boots, which guests could compare to a pair of Theirry Henry's, his first pair of cotton goal keeping gloves with David Seaman's more modern ones and a series of footballs including an old leather one next to the light modern ones. Goalkeeping tops across the years included his own yellow top worn when he represented England School's FA, his yellow jersey worn when he represented Scotland and his Arsenal No 1 jersey that he wore when he helped Arsenal win the double League and FA Cup in 1971 and one of David Seaman's. Following an opportunity for questions Bob finished his talk by describing a little about the Willow Foundation a charity he set up with his wife Megs in memory of their daughter Anna who sadly passed away following a brave battle with cancer. Bob explained that the charity was the only one aimed at seriously ill young adults aged 16-40 years and provided special days for them. 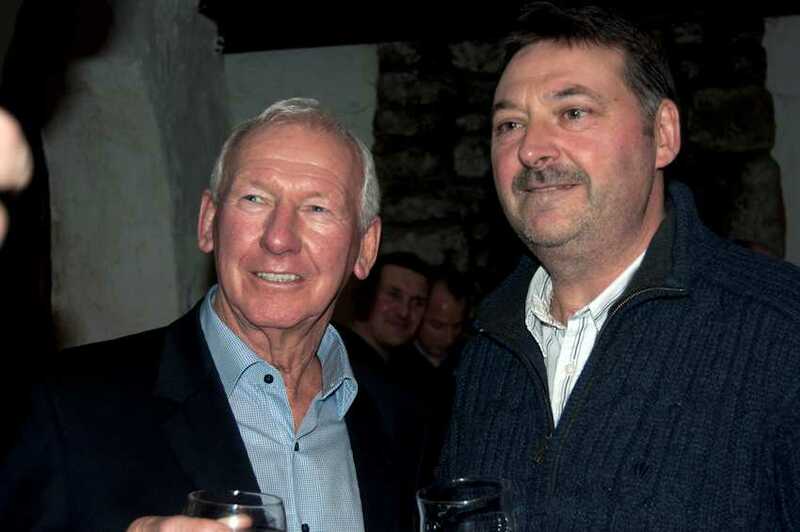 Bob was delighted to hear that St Agnes AFC had raised £650 over Christmas for the Willow Foundation by hosting the Tom Benney Testimonial Match and spent time with Tom during the evening discussing his early retirement from football owing to a heart complaint. 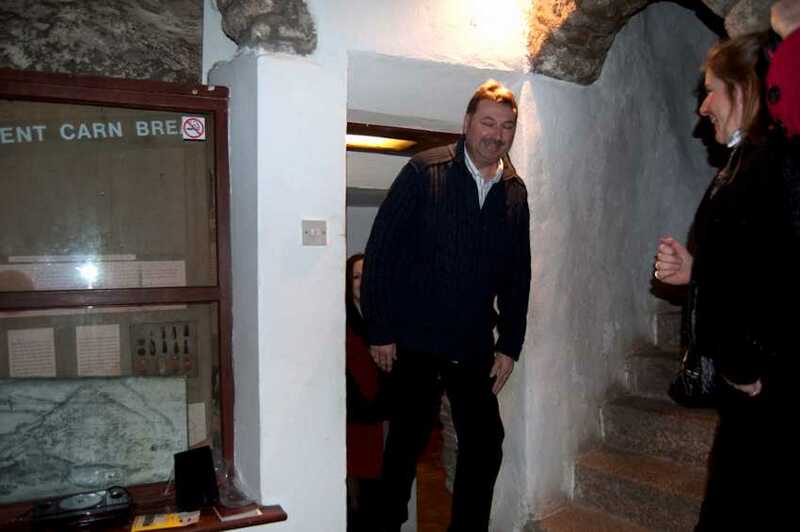 Guests had been asked to give donations in lieu of presents which brought the total for the Willow Foundation to £1000. This amount has been match funded by Barclays Bank to bring the total for the Willow Foundation to £2000. At the end of what was quite simply an unforgettable evening an elated Martyn commented, "What a fantastic evening, I had no idea what was planned! 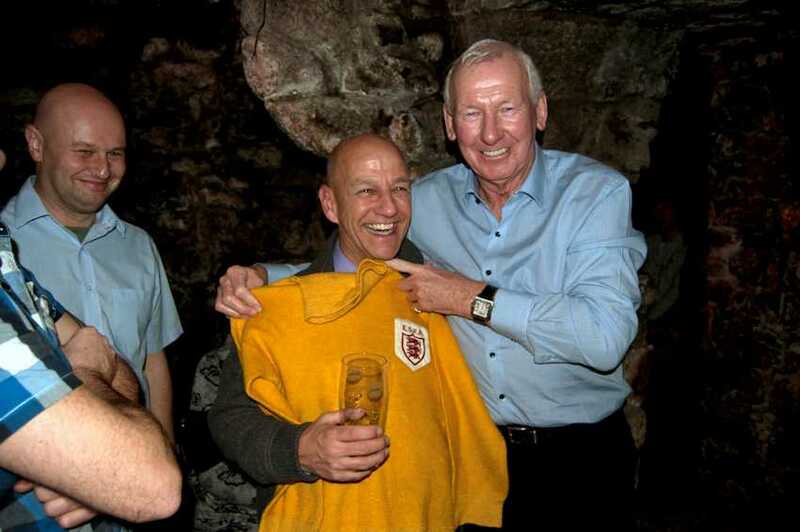 Bob Wilson was a fantastic surprise and a brilliant guest and present!"